I’m always a fan of an easy, multi-use craft. 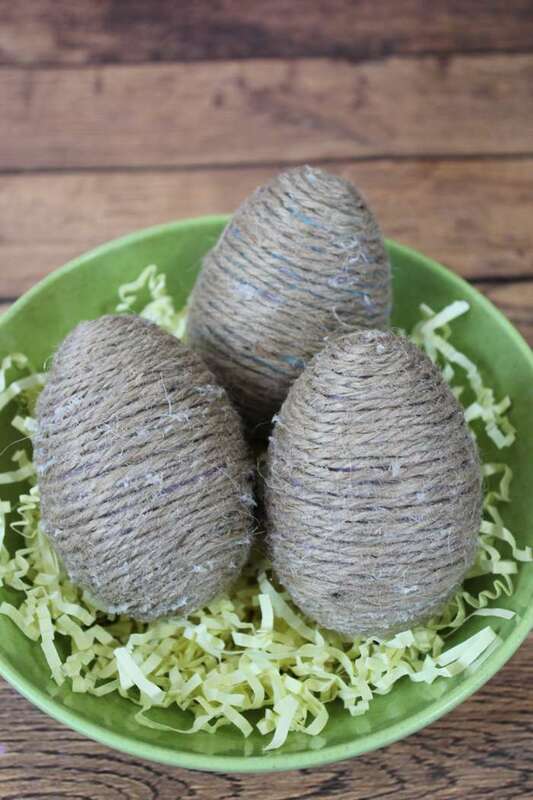 These DIY twine wrapped eggs are perfect as an Easter craft. They can even be used as cute decorations for your coffee table any time of year! 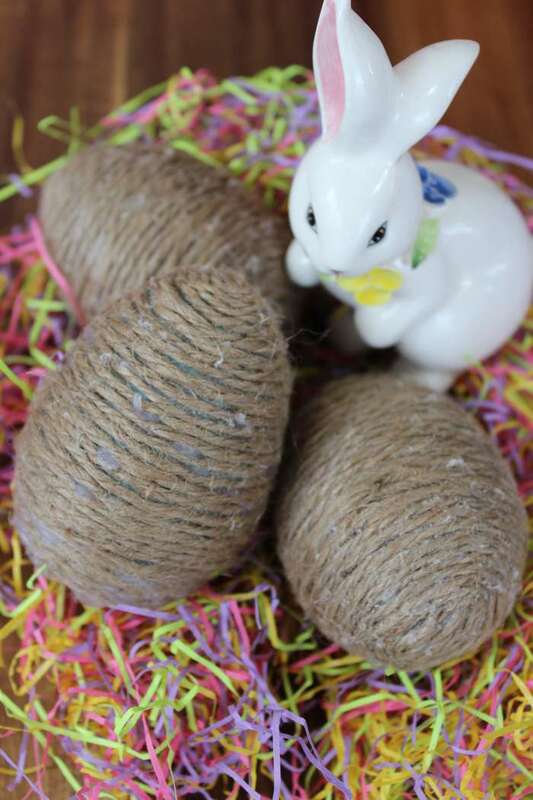 Here’s how to make these cute DIY twine wrapped eggs. 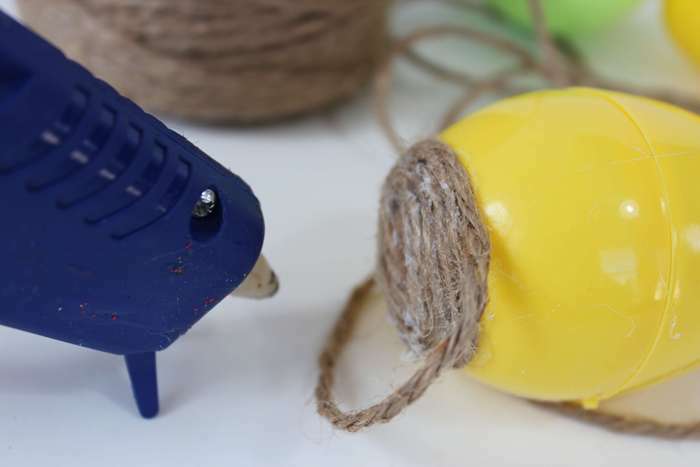 Put a dab of hot glue on the end of the egg. 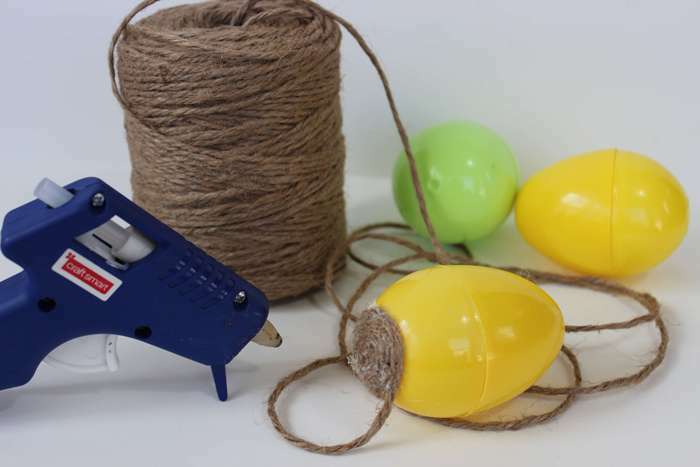 Attach the twine too the glue. 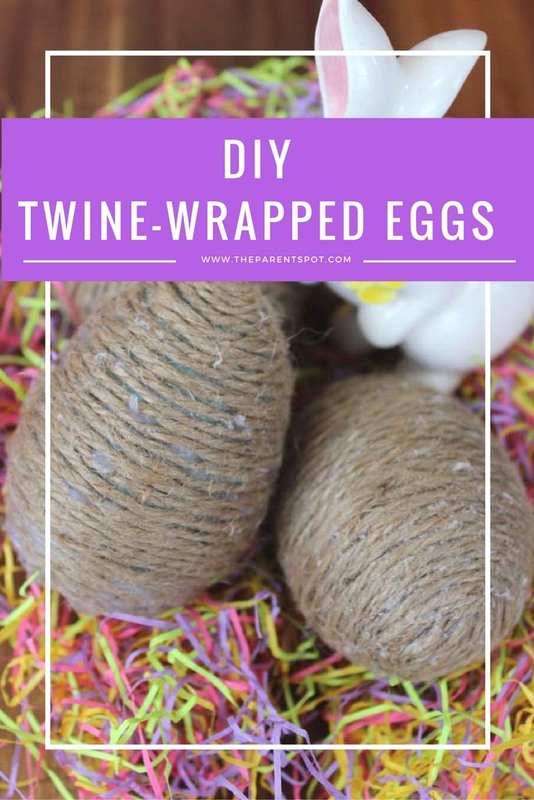 Begin wrapping the twine, occasionally putting a dab of hot glue to keep the twine in place. 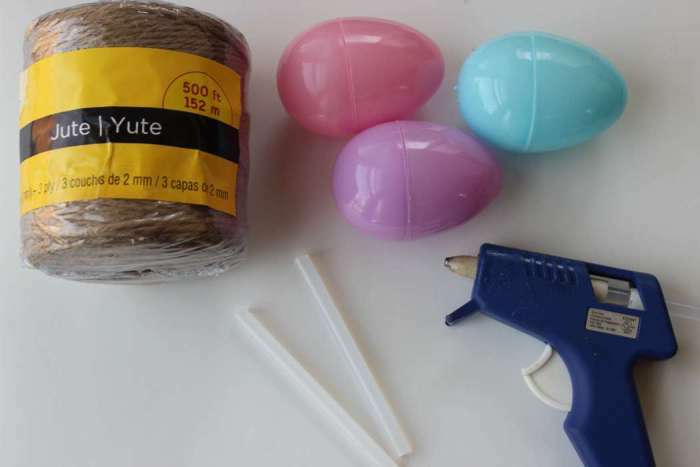 Set aside for an hour to allow glue to completely set.